The first highlight of the Snowpark Kaunertal Season, the 33rd KTO 2018 with the presentation of the NEW SNOWPARK was a fully success. And since the summits getting more and more covered with the white gold the rising motivation for more Snowpark action is unstoppable! 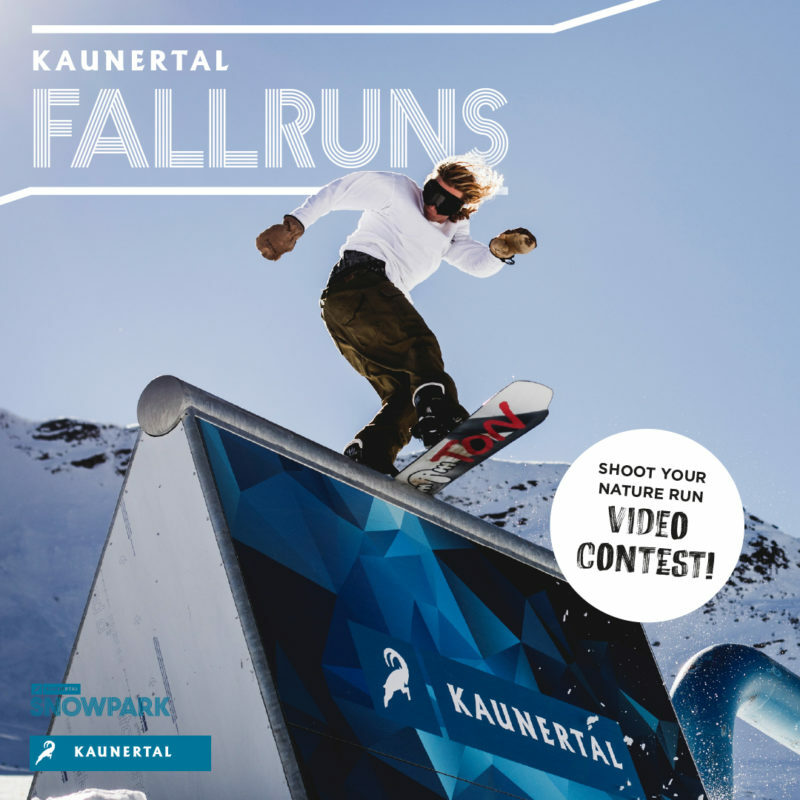 Even before the winter reaches the other snow parks of the Alps the Snowpark Kaunertal is coming around with the FALL RUNS 2018 – the second highlight of the season! For full 8 Weeks long the NEW Snowpark is waiting to be shredded day after day, perfectly in shape and constantly upgraded! All this rounded up with a bunch of sick events for everyone so that nobody will get bored! Starting from the top of the Karlesjochbahn through the “Nature Run” into the new adapted “Half Mile Jib Line 3.0.” and leading through different sections this new Snowpark offers countless new possibilities, lines and recent upgrades so you will be impressed by the newness day after day for the whole Fall Runs period! You can stay excited for events like the “Elooa Season opening Camp”, contests, sessions, public photo shootings, Students-/Girls- /Next Generation – Days and a „grande Finale“ Weekend for the books – Nice prices and cash4tricks inclusive!